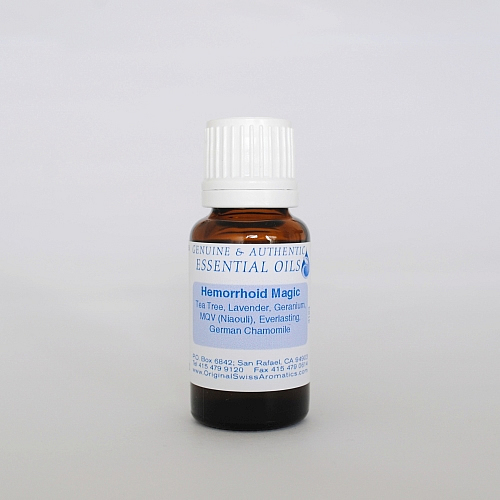 Hemorrhoid Magic is applied topically, ideally with water, at least 2 - 3 times per day. Use after each bowel movement, also a few drops on the toilet paper. 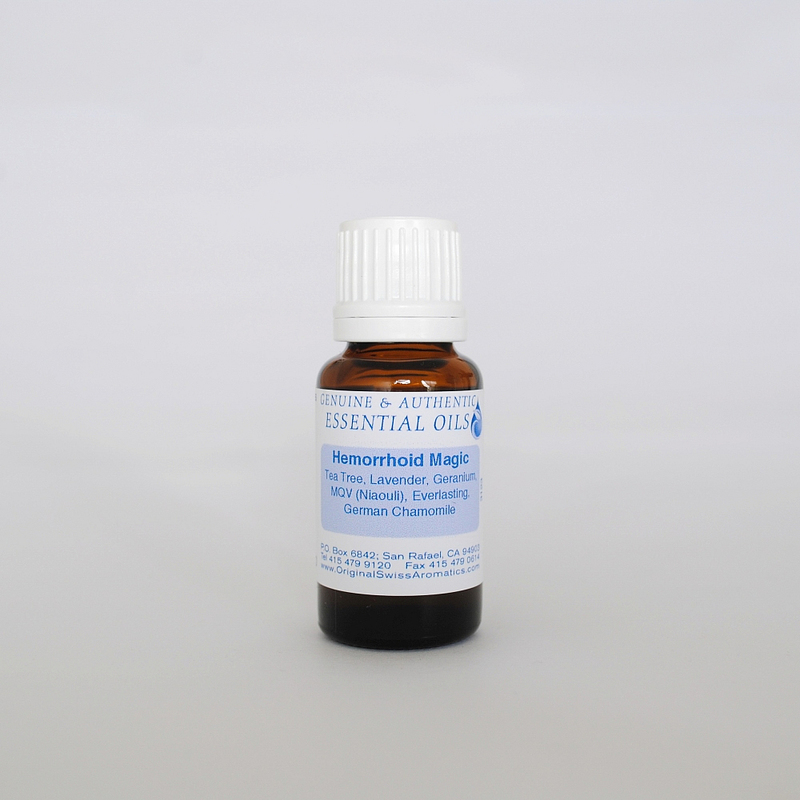 The blend is antibacterial, anti-inflammative, antiseptic, astringent and relieves pain. Ingredients: Tea Tree, Lavender, Geranium, MQV (Niaouli), Everlasting, and German Chamomile.